There's nothing like helping kids, especially during the holiday season. Donate new, unwrapped toys to aid the U.S. Marine Corps 2010 Toys for Tots Campaign at Reed Brothers Automotive. For further information, contact Reed Brothers Automotive at 301-926-6100. Bethesda-Frederick-Gaithersburg, MD (1888PressRelease) October 20, 2010 - With the arrival of the holiday season, Reed Brothers Automotive is teaming up with the U.S. Marine Corps again to give back to the community it serves with its annual 2010 Toys for Tots Drive. This year, with your help, Reed Brothers Automotive hopes to give away hundreds of toys benefiting the less fortunate members of the community, particularly during this holiday season. "Reed Brothers is proud to accept donations and partner with Toys for Tots," says Jeanne Gartner, the coordinator of the campaign at Reed Brothers Automotive. "A partnership with this great organization allows us to effectively fulfill our company's mission by helping children and promoting a meaningful environment for our community during the holiday season." Reed Brothers Automotive invites you to share in the holiday spirit by donating new, unwrapped toys from October 1 - December 17, 2010. Toys must be new, in original packaging, not gift-wrapped. Anything appropriate for boys or girls ages 1-12 will be accepted. All gifts collected in Maryland will be given away to children in Maryland, so you'll be helping your neighbors. Toys can be dropped off at Reed Brothers Automotive showroom at 15955 Frederick Road Rockville, MD 20855 from 9:00 AM to 8:00 PM Monday through Thursday, 9:00 AM to 7:00 PM Friday, and 9:00 AM to 6:00 PM on Saturday. For more information, contact Reed Brothers Automotive at (301) 926-6100. The Marine Toys for Tots Foundation is a not for profit organization authorized by the U.S. Marine Corps and the Department of Defense to provide fundraising and other necessary support for the annual Marine Corps Reserve Toys for Tots Program. Toys for Tots provides joy and a message of hope to economically disadvantaged children through the gift of a new toy during the Christmas holiday season. For more information, visit http://www.toysfortots.org. 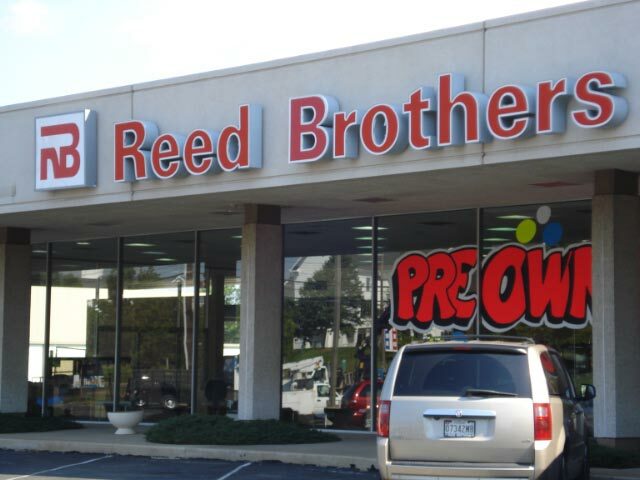 Reed Brothers Automotive (formerly Reed Brothers Dodge) in Rockville, Maryland is one of the oldest continuously family-owned and operated automotive dealerships in the United States. Founded in 1915 by Lewis and Edgar Reed, Reed Brothers is one of the first dealerships to open after the Dodge Brothers built their first automobile in 1914. Reed Brothers Automotive offers pre-owned vehicle sales and award-winning service for maintenance and mechanical repairs.